Babies and moms will love our high quality, natural yellow sea sponge, specially selected and sized for baby. 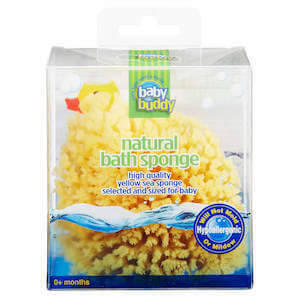 Super absorbent and unbelievably soft, this sponge produces a great lather and makes rinsing baby quick and easy. Natural sponges are more resistant to bacteria than synthetic sponges. All natural, recyclable and renewable. MADE IN USA.